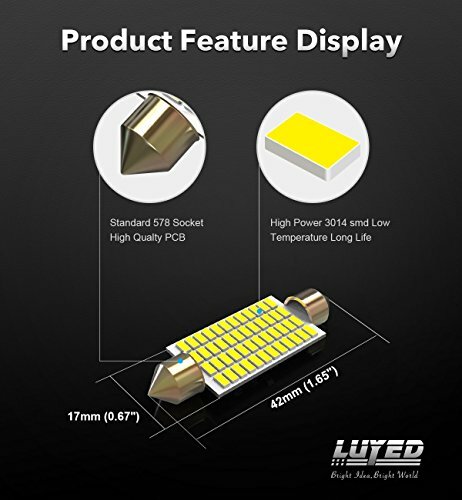 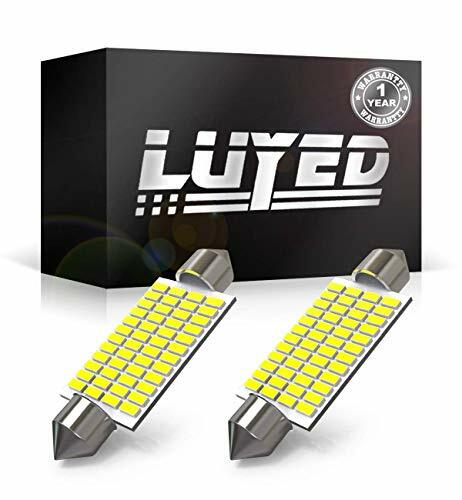 √ 2Pcs 3014 48-smd LED Bulbs,Working Voltage:12v-24v,Size: 1.65" x 0.67" x 0.39"
√ Fits:211-2 212-2 214-2 2112 2122 2142 578 576 560 569 etc.Easy installation, plug and play. 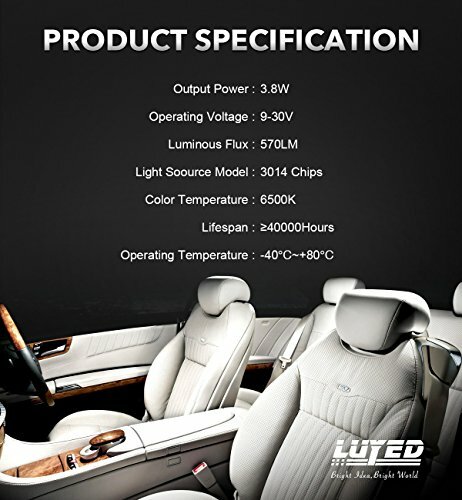 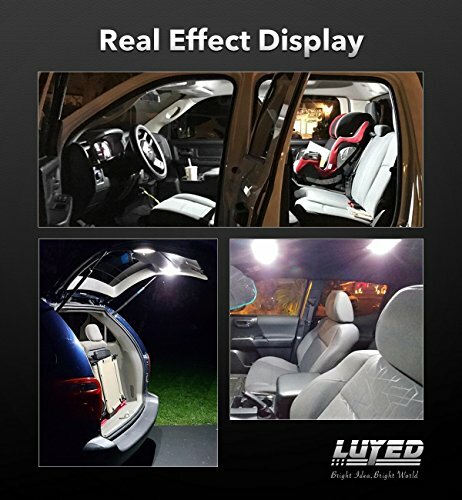 √ Application:Car interior Map Lights , Dome Lights,Cargo Area Lights, Trunk Lights etc. 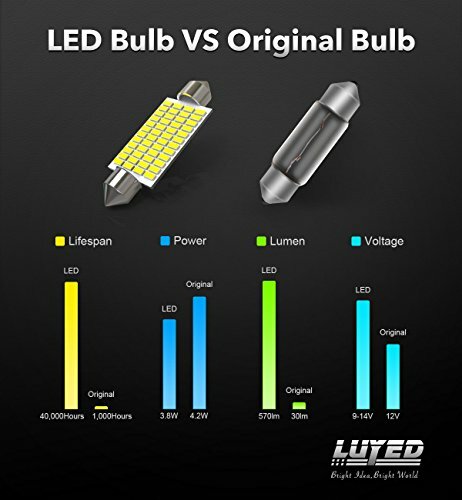 √ The bulb size may vary between the model or trim of your vehicle. 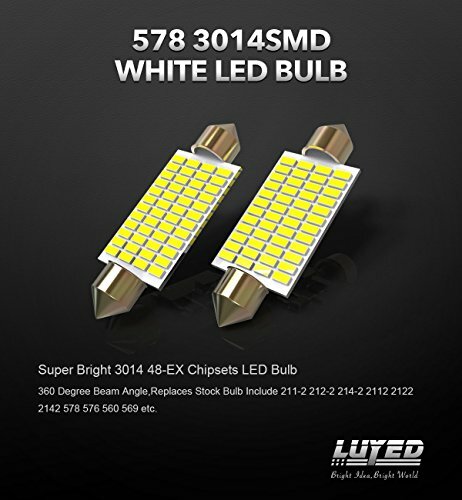 Please check your vehicles owners manual or the original bulb to confirm the bulb size before placing an order.